Guests can visit http://www.amazingscoopfest.com to get more information about these great deals on their favorite Baskin-Robbins ice cream flavors, including the new April Flavor of the Month, The Amazing Spider-Man 2™ ice cream, which features blue and red vanilla-flavored ice creams with a dark chocolate flavored web and popping candies that combine to make an amazing hero of a flavor. 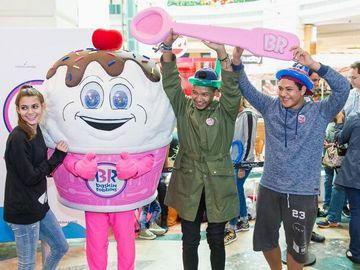 Additionally, Baskin-Robbins is offering its guests a range of festive ice cream treats to help celebrate the Easter holiday on April 20th. 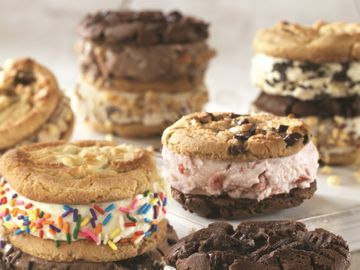 These include Baskin-Robbins’ classic Bunny Roll Cake, which is returning this year in pink and is available for order in a guest’s favorite ice cream and cake flavors both in-store and online at www.BaskinRobbins.com/OnlineOrdering. Baskin-Robbins is also offering a new Easter Egg Hunt ice cream flavor in select participating locations, which features green white-chocolate flavored ice cream with pastel-colored candy eggs and a sweet crème ribbon. For more information about Baskin-Robbins and Scoop Fest, visit www.BaskinRobbins.com or follow us on Facebook (www.facebook.com/BaskinRobbins), Twitter (www.twitter.com/BaskinRobbins) or Pinterest (www.pinterest.com/baskinrobbins31).